BasicGrey Challenges: Challenge 72 - "FUN IN THE SUN" ! Challenge 72 - "FUN IN THE SUN" ! Thanks to everyone who entered our Favourite Colour Combo Challenge. We will be back shortly to announce the lucky winner. It's time for our new challenge. We know its going to be very hard at the moment to imagine but we want you to have "FUN IN THE SUN" !! Please remember that you do need to use at least one Basic Grey product on your creation to qualify for our prize ! 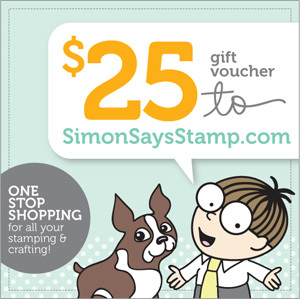 As always, our wonderful sponsor Simon Says Stamp is offering one lucky winner a fab $25 shopping spree in the Simon Says Superstore, just think of the goodies you could treat yourself to with that !! We look forward to seeing your "fun in the sun" creations ! Fun challenge! Fabulous cards, DTs! Beautiful samples!! Thanks for the fun challenge!! Gorgeous inspiration from the DT. Sorry I copy and pasted your URL instead of mine - entry 27! Feel free to combine your cards with our challenges to any other challenge blog that allows you to do this, you will still be in with a chance of winning a prize no matter what. However, we do ask that you only enter up to 3 entries to each of our challenges and these must be new creations and not backlinked. 1.Go to your "Blogger Dashboard"
4. Scroll down until you see "Comment Moderation"
3. Scroll to the bottom of the page and click "Save Settings"
Find us on Feline Playful !